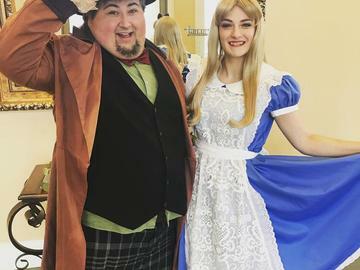 Grab a clean cup and move down while you hobnob with The Mad Hatter at his Mad Hatter's Tea Party on Saturday, April 20th from 4 pm to 5 pm. Alice, The Mad Hatter, the Queen of Hearts, the Easter Bunny and more will be there with treats for a very merry unbirthday! The Mad Hatter's Tea Party will take place in the Rotunda inside the hotel.